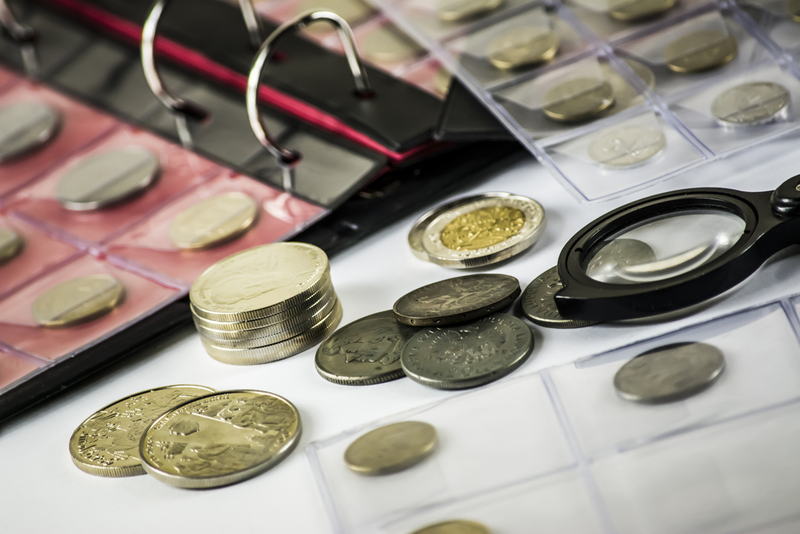 Whether you are interested in rare coins or have just started attending coin shows, understanding the terminology is critical to making the right purchases. Both gold coin dealers and collectors use industry terms to describe details of the goods. Here are some of the most commonly used words to help you out at your next coin show. Adjustment marking was a result of a practice used in the minting of early US coins. The straight striations were caused by filing the coins to remove excess metal and achieve the proper weight. Commemoratives are limited edition coins that are minted in celebration of a significant person, place, or event. In some cases, this was to raise money for a specific cause. A certified coin is a coin placed in a heavy plastic case with an insert that defines the coin’s grade. This is done by an objective third-party company to settle any disputes about the value and significance of the coin. Intrinsic value refers to the current market value of the coin. For many forms of circulated currency, the intrinsic value reflects the face value; however, rare editions may be based on the cost of the metal, rarity, and other factors. Oxidation refers to the formation of oxide or tarnish on the surface of a coin. This can occur when the coin is exposed to moisture, the air, or even industrial fumes. To get started on your rare coin collection, head over to the gold coin dealers at American Trading Company in Cincinnati, OH. For over 35 years, the family-owned pawn shop has been the go-to source for a wide range of high-quality goods to buy and sell. Whether you’re in the market for silver jewelry or need cash for gold, you can count on their team to provide you with an honest quote. Call (513) 661-3633 to speak with a gold coin dealer, and visit their website to browse their current inventory.